USE www.Bit.ly/ECNvertical and www.Bit.ly/ECNhorizontal to open google docs of all documents and print directly from browser. Print & issue all Playful Paperwork services and offer them to your community!! NEW!! REGISTER YOUR EMPOWERMENT PROCESSING FACILITY TO RECEIVE ALL UPDATES AND NEW DOCUMENTS AND INCREASE YOUR ECN BRANCH EFFICIENCY RATES! 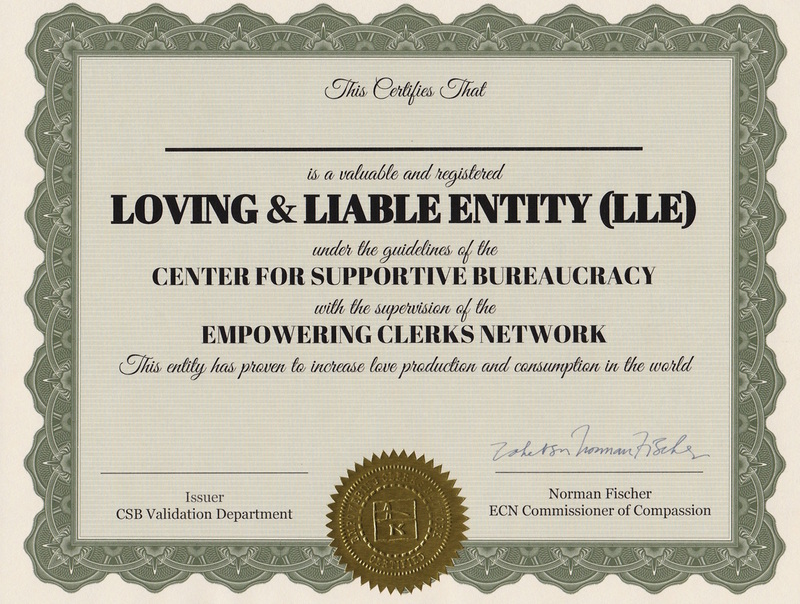 The ECN welcomes individual use of Playful Paperwork documents, for the joy of spreading efficiency and love. If you're an individual who's interested in using any of these tools not for profit - you're welcome to download and print any of these documents for free. An institution whose interested in using these tools, please contact us. 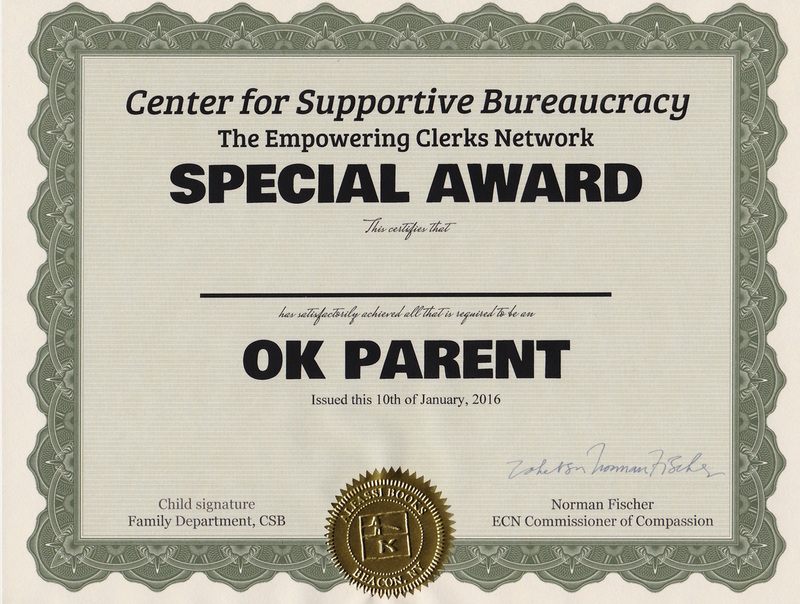 You can invite licensed Empowering Clerks to offer ECN Office Hours at an event or lead a special workshop issuing Playful Paperwork documents, contact us for details. If you need other official documents that are not on this page please let us know. 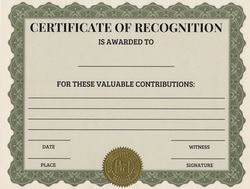 ECN diplomas and certificates are printed on parchment certificate paper (like this, and this notary golden stickers) and are embossed with the official ECN seal (which you can purchase on amazon using that design). If you're interested in becoming an Empowerment Processing Facility (EPF) and distribute these official documents in your community we'd love to help you (it's easy! Start with printing Joy Permit and issue them to friends and strangers! PS - You can support us via PayPal here. * All forms are FREE FOR INDIVIDUAL DOWNLOAD AND USE. An institution who wish to use these tools for profit/to benefit a for profit entity should contact the ECN. Failure to do so may result in a Karma Violation Ticket (KVT-771). Adults Special Achievement Stickers (ASAS-46) are available in the original, restricted or Full On versions. All of them are at Print Your Own ECN Document file #2 (vertical documents). Use that address label paper to print on your home printer. Use Avery 8160 or cheaper compatible versions to print at about $0.15 per 30 official ASAS-46 Adult Special Achievement Stickers. ECN Refurbished Report Card (RRC-202) can be used in order to create an alternative experience for a bad school year (see the K-755 for more information) or by current students to release stress. Download & print this official Refurbished Report Card by clicking the download button on the bottom left side. As stated in the G-786, Guidelines for the Empowering Clerk, it is mandatory to have at least 5 A's and 6 A+ for each semester. Choose a school year that wasn't so good for you or for someone you choose to issue it to, nominate a new teacher or use the same one. Make sure to follow ECN regulations and give a summer assignment the student want such as "express yourself", eat lots of ice cream" etc. Once signed and sealed, the Refurbished Report Card is a valid document and can be shown to parents, friends and relatives as a proof of the student qualities. Download & print this official Refurbished Report Card at DIY page. As stated in the G-786, Guidelines for the Empowering Clerk, it is mandatory to have at least 5 A's and 6 A+ for each semester. Choose a school year that wasn't so good for you or for someone you choose to issue it to, nominate a new teacher or use the same one. Make sure to follow ECN regulations and give a summer assignment the student want such as "express yourself", eat lots of ice cream" etc. Once signed and sealed, the Refurbished Report Card is a valid document and can be shown to parents, friends and relatives as a proof of the student qualities. ECN Validation Ticket by licensed Empowering Clerk Alan Goldsmith (read more about Alan's work at Elder Sparks, print 2 Validation Tickets per letter size paper, cut and issue to friends and strangers.